On May 3rd, over a million Gmail users granted a fake, but convincing, application full access to their emails and contacts. Two weeks later, a major ransomware attack spread rapidly and affected a multitude of organizations across the world. Needless to say, it’s been a busy month in the infosec world. 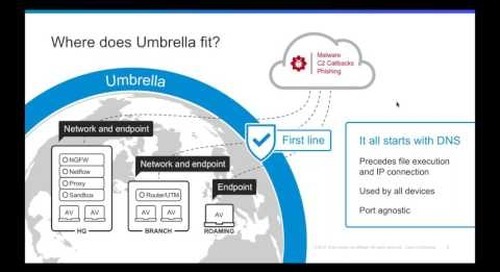 Now that the dust has started to settle, join our security researchers Alex Chiu, threat researcher for Cisco Talos, and Brad Antoniewicz, security researcher for Cisco Umbrella, as they take you through the details of the recent attacks. We’ll also look ahead at how these types of attacks could potentially evolve over time and how you can better prepare.